Jeffrey T. Counsil Sr., 57, passed away on Jan. 24 in Elizabethtown, Ky. He was the husband Sandra Counsil. They shared 12 years of marriage. Born in Williamsport, to Myrtle (Kane) and David Counsil on Dec. 20, 1961. 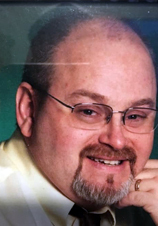 He is survived by his wife, Sandra; his brothers, David and Christopher; his children, Jason (Shawna), Natasha (Dave) Epperson, Jeffrey Jr. (Emily), Joshua (Haley) Gentry and Jessica (Donald) Highfill; and his 14 grandchildren. He was preceded in death by his mother and father. Memorial donations, in lieu of flowers, may be made to St. Jude Children’s Research Hospital.